Chai tea is the only tea that I like to put milk into. In the winter months I love to brew a comforting cup of Chai tea adding milk and honey to it and that, along with two, just from the oven Pillsbury sugar cookies, is all I need to get me through the evening. 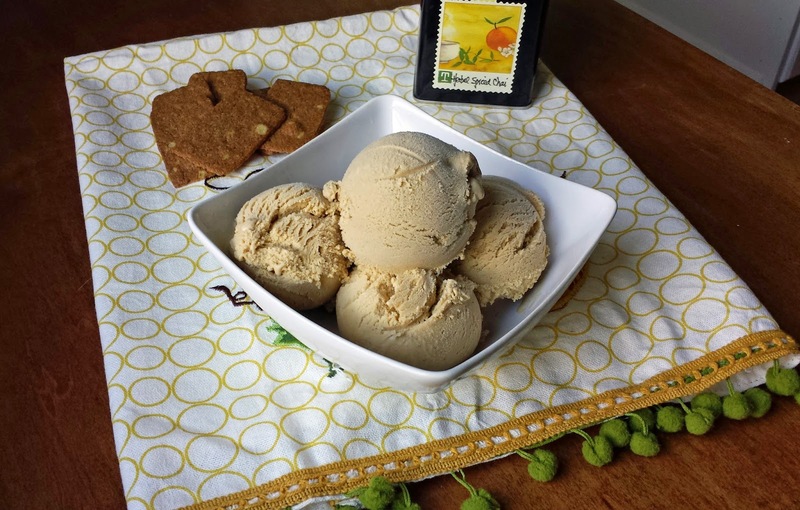 So my cherished cup of tea is the inspiration for this Chai Tea Ice Cream, it even uses honey for its sweetness. Warm spices make this cool treat enjoyable really any time of year. 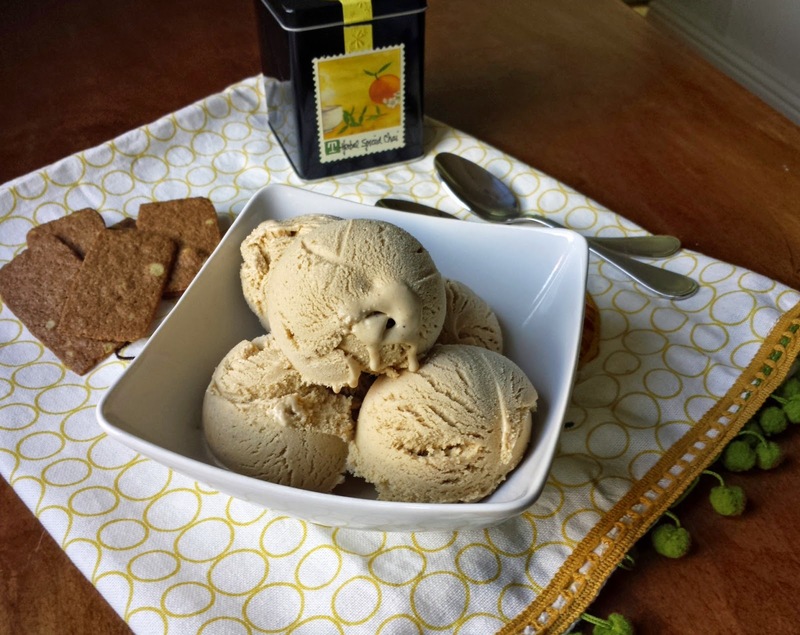 Chai Tea Ice Cream is totally awesome all by its lonesome, but it’s also perfect to serve over grilled fruit, warm fruit crisp, or a fruit pie. 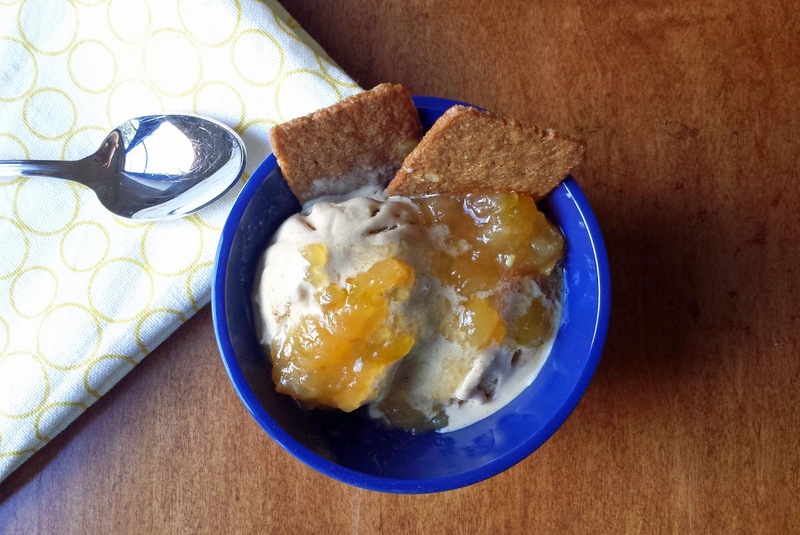 Heat up this pear jam and serve it over the ice cream with a couple of crisp ginger biscuits, and...Good Golly Miss Molly…this is de-lish! I’ve got to add a disclaimer; this is technically frozen custard. The difference between ice cream and frozen custard is that ice cream is made with milk and cream; frozen custard is made with milk, cream, and egg yolks. The custard is cooked and then cooled before being frozen. Yolks give the custard a soft and silky texture, even after being in the freezer for weeks. 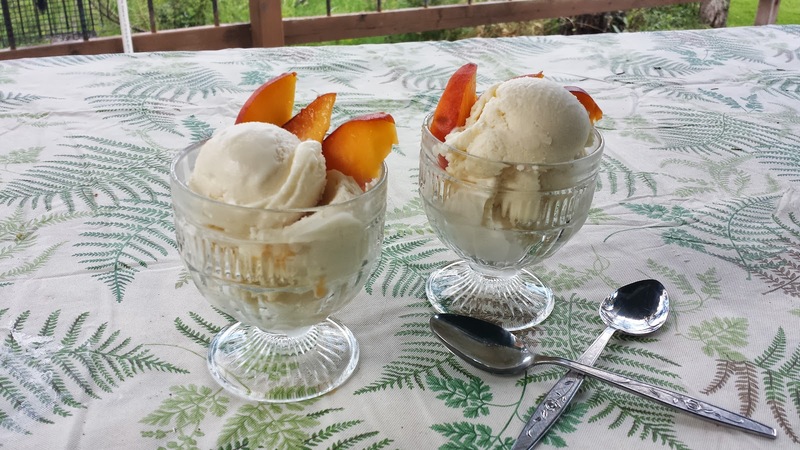 I know this because I made this ice cream, and then I went on vacation and when I got back it tasted just as good, and the texture just as creamy as well I left! 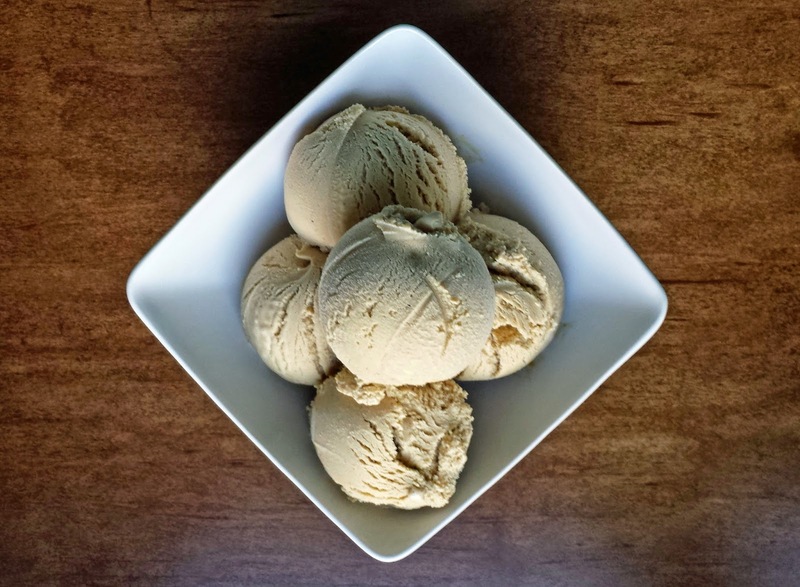 Ooh, I just thought of something else that would be amazeballs…Top Chai Tea Ice Cream with a shot of espresso for Affogato! I’m going to do that right this very second! Bye y’all Chai Tea affogato is calling my name! 1. Combine the heavy cream, whole milk, ¼ cup of honey, salt and loose Chai tea (or Chai tea bags) in a 3 quart sauce pan. Scald the mixture, stirring frequently, over medium heat. If using tea bags, allow them to steep in the mixture for about 5 minutes, and then remove and discard them. If using loose tea, don’t bother with the extra steeping, and the tea will be strained out later. 2. Meanwhile, in a medium bowl combine the egg yolks and ¼ cup of honey. Whisk well until the yolks are pale in color and frothy. 3. Temper the yolks by whisking just a bit of the scalded mixture into the yolks at a time, until you’ve added about half of the scalded milk into the yolks. Add the yolk mixture back into the pot with the remaining milk. Stir continuously with a wooden spoon until the mixture thickens just a little. You will know that it’s ready when you pull the spoon out of the liquid, run your finger down the back of the spoon to make a line in the liquid, and the line remains. Pour the mixture (ice cream base) through a fine mesh strainer into a bowl, stir in the vanilla extract, and then refrigerate about 4 hours, until completely cooled (I refrigerate it overnight). 4. Pour the cooled ice cream base into the bowl of an ice cream maker and use the ice cream machine according to the manufacturer’s instructions. Scoop the ice cream into an air tight container. Most manufacturers recommend freezing the ice cream for 2 hours before eating. Love the intense spices of chai tea especially the cardamom. THis makes for a delightful treat. Thanks for sharing. The ice cream looks very creamy and I love the spiced tea! Lovely Kari! 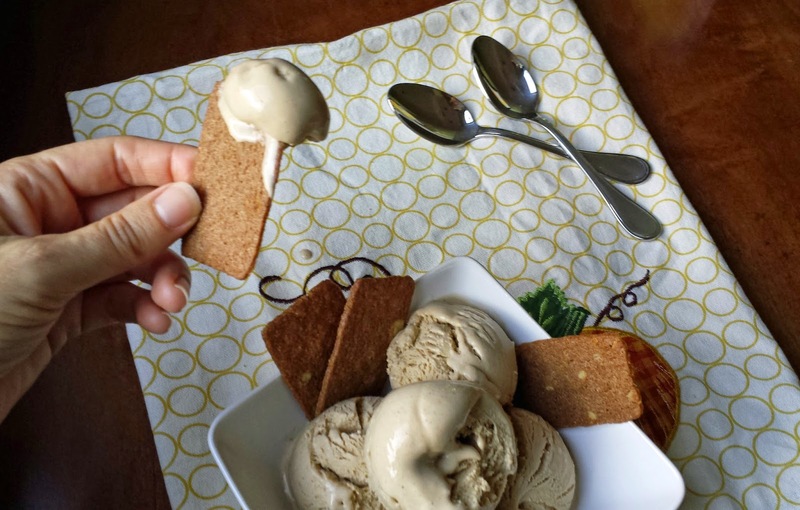 I posted a Chai tea ice cream last year - loved it! Yours looks perfect! Have a great weekend. So many recipes ... so little time!